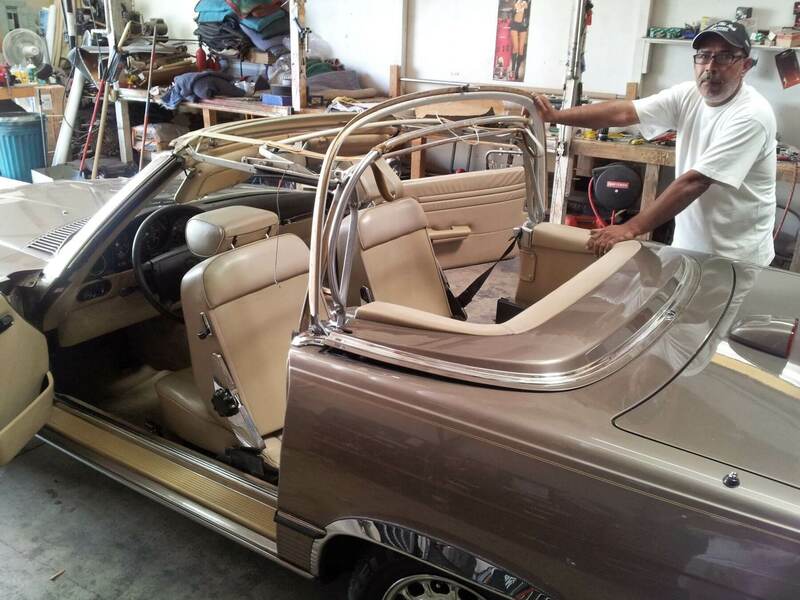 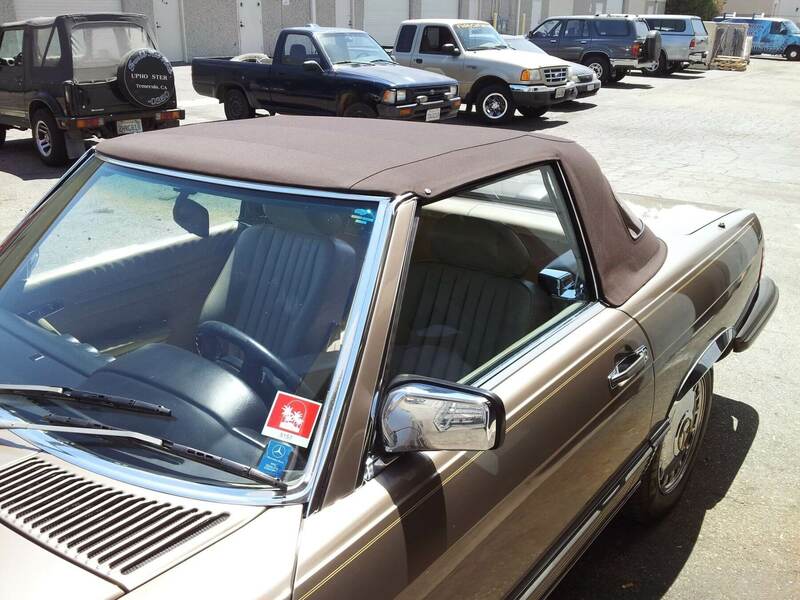 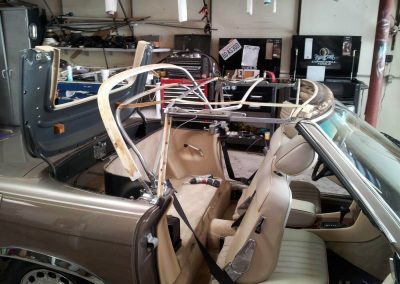 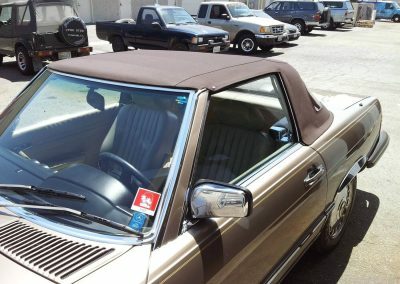 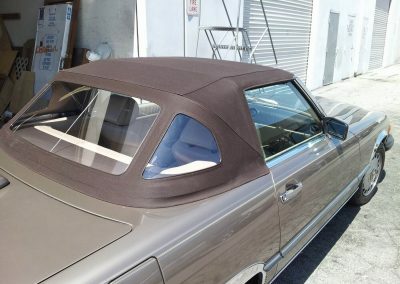 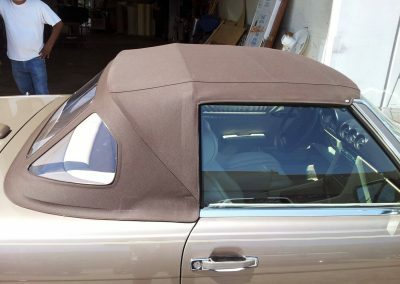 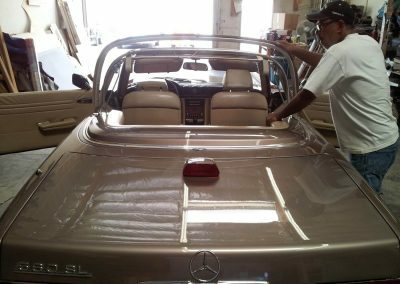 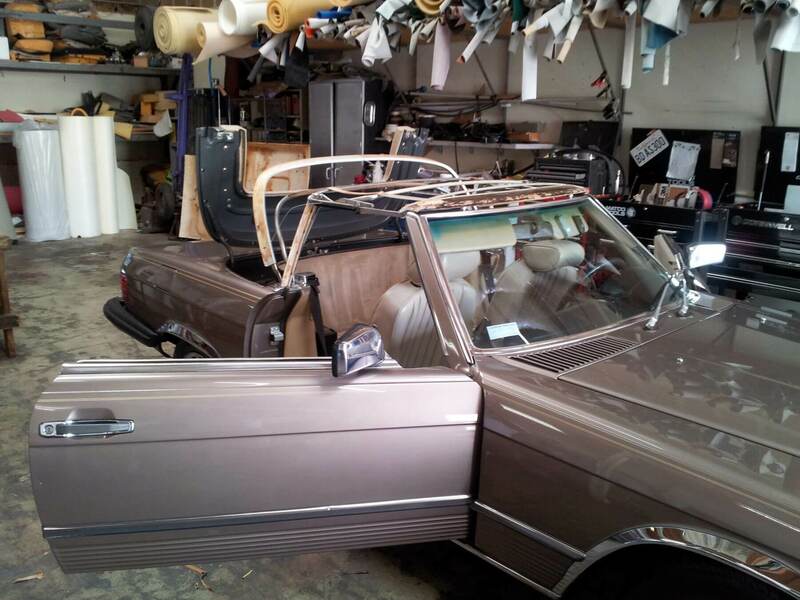 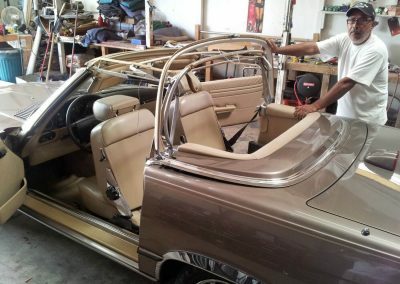 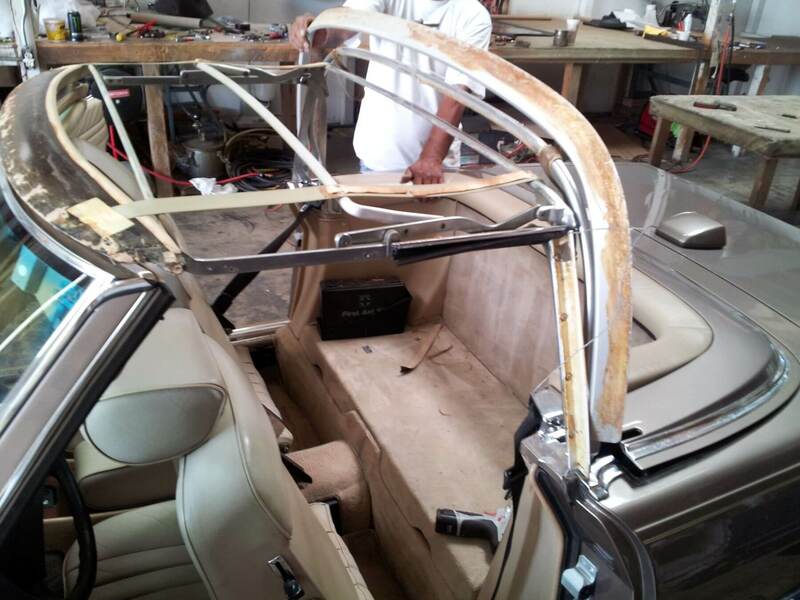 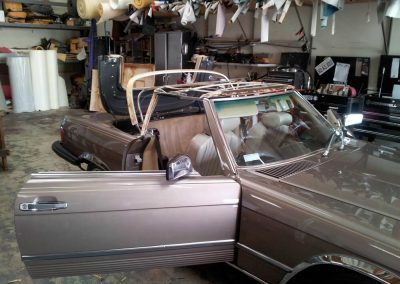 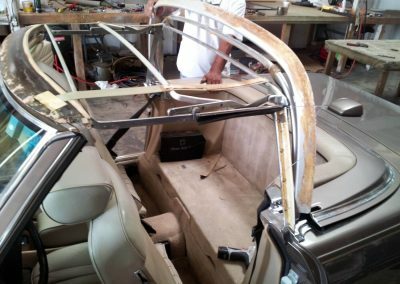 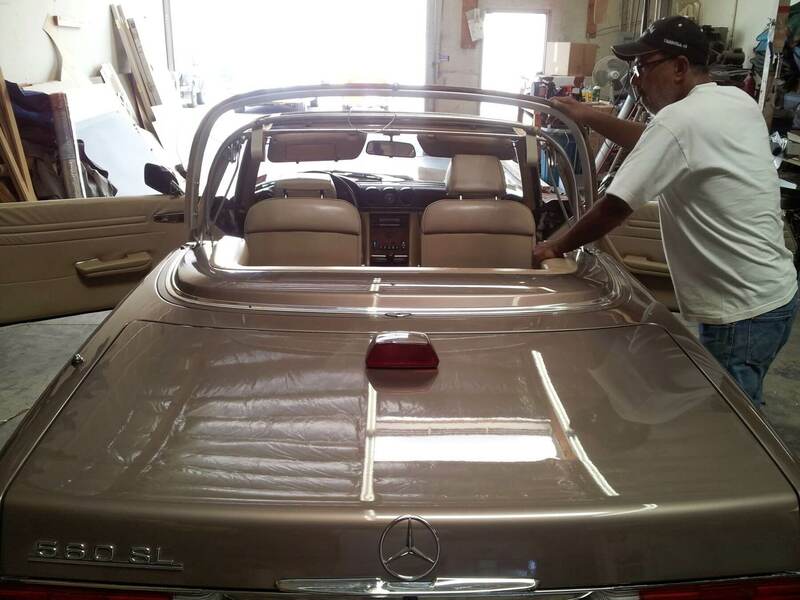 Below are pictures of a Mercedes Benz 560 SL convertible that needed the convertible top replaced. 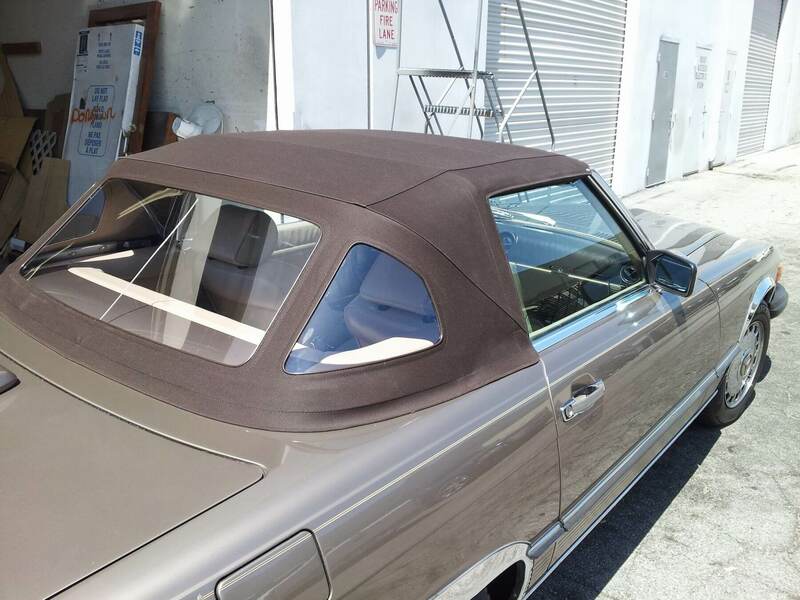 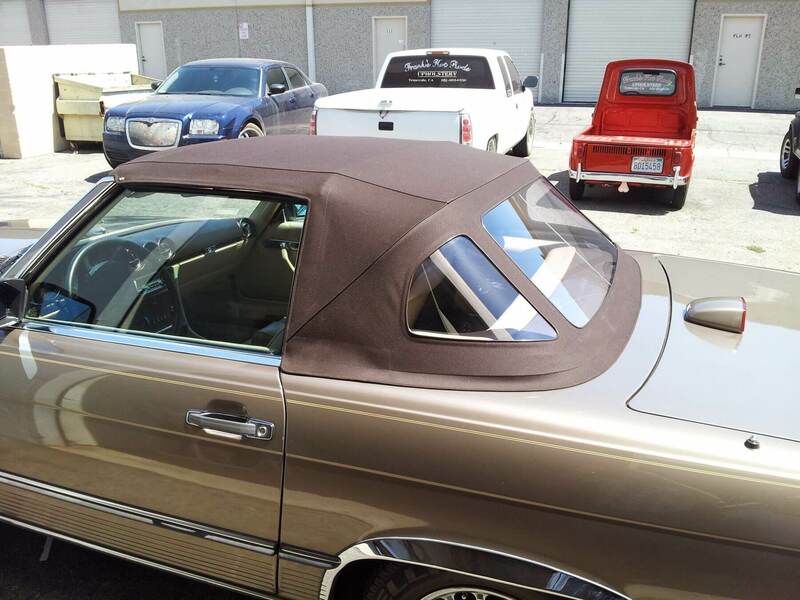 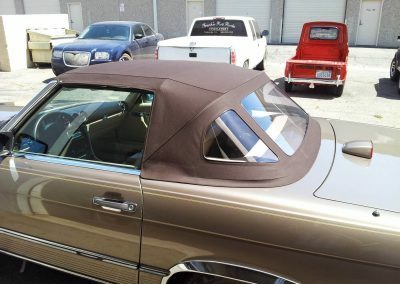 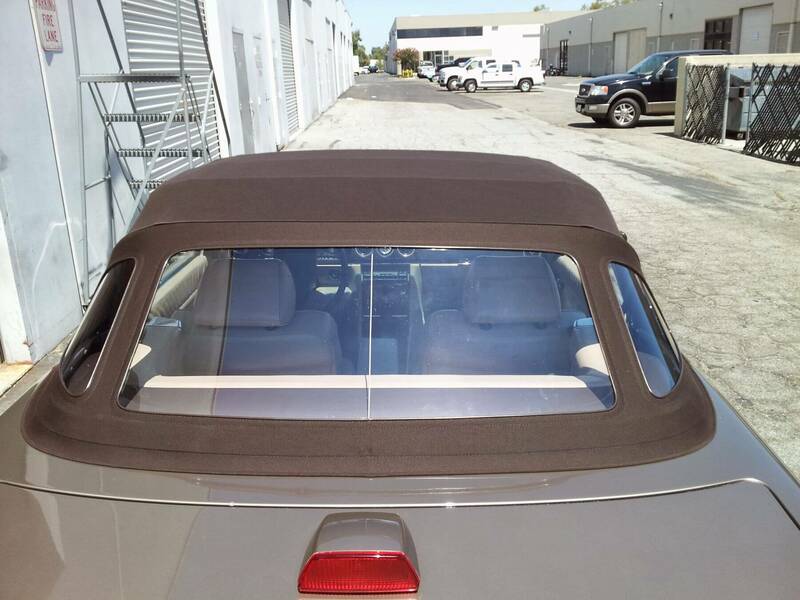 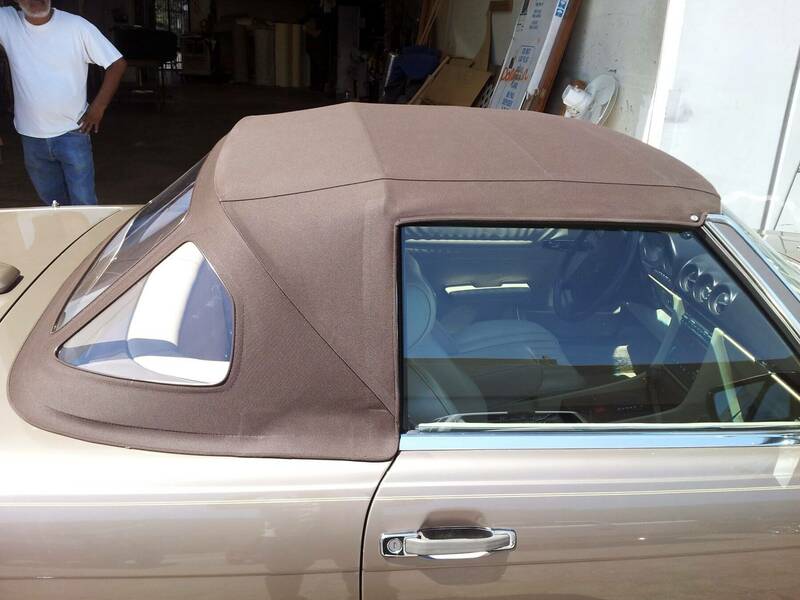 The convertible top installed was an aftermarket top with plastic rear windows as original. 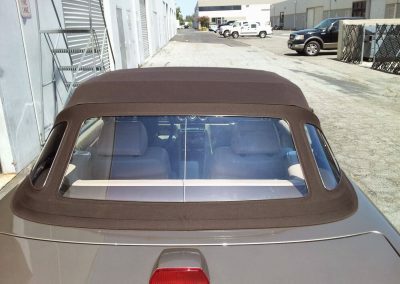 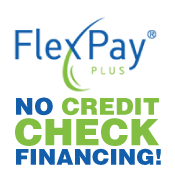 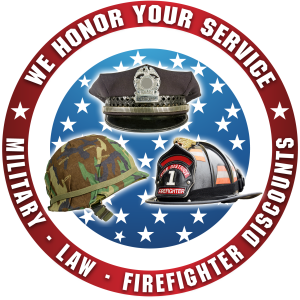 Even though the replacement top is aftermarket, the material used to make it is the original German material used in factory replacement tops.